A Virginia Living Magazine "Top Wedding Vendor" for 6 years running (2011-2017)! 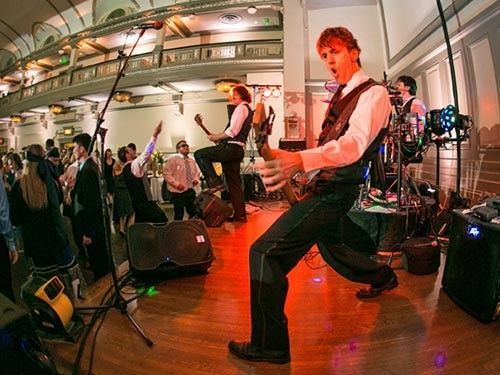 Combining national recording talent with private event know-how and ego-free professionalism, Vinyl Headlights smashes the cheesy cover band mold. 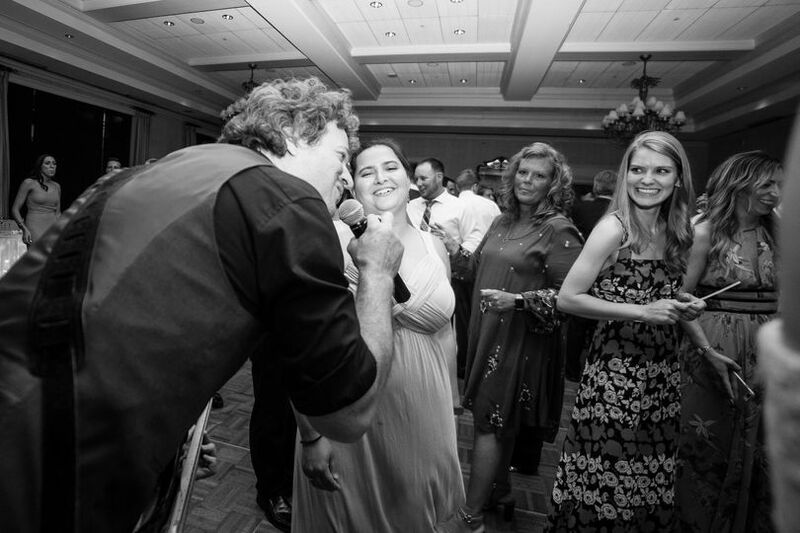 The "nicest people in the party business" draw from a vast repertoire, spanning decades of hits from the worlds of rock, pop, dance, hip hop, and even country. 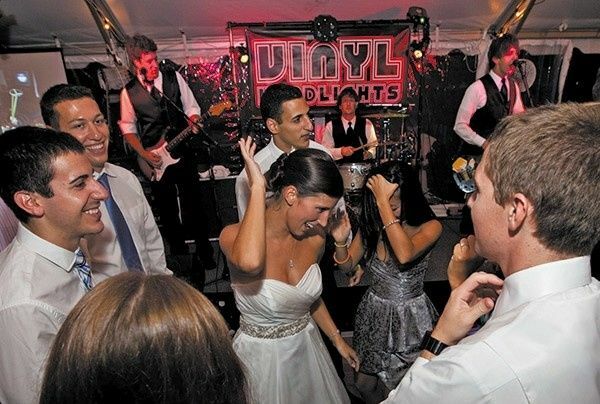 Vinyl Headlights can customize a high-energy performance with enough musical variety to keep all your guests entertained. 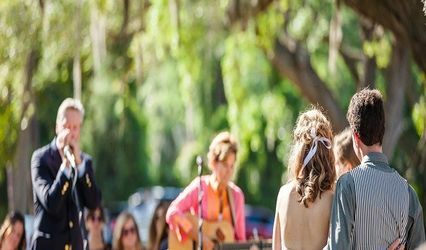 Their flexibility, professionalism, and attention to detail make working with the band a stress-free experience for the veteran event planner or the first-time client. The group spotlights three lead vocalists, enabling them to tackle a very broad range of music (optional female vocalist addition available). 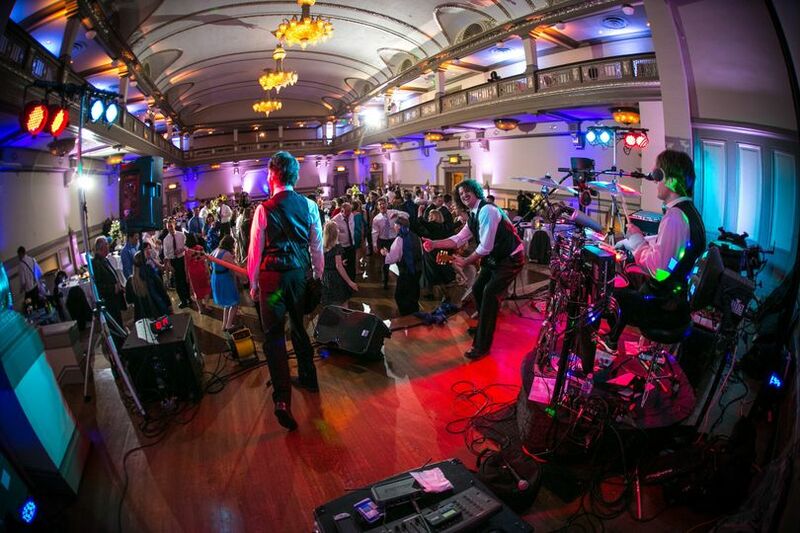 When a band has so much material in its repertoire that it can perform three nights in a row without repeating a song, you can be sure that they'll be able to customize the right mix for your event. 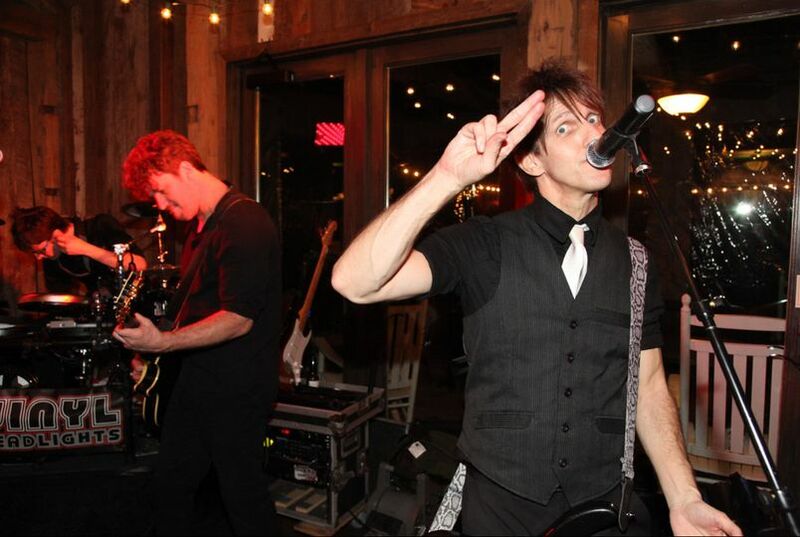 I loved working with the band for our holiday party. Very professional, and the music was on point. They elevated our holiday party to a whole new level. I would highly recommend Vinyl Headlights for any event. 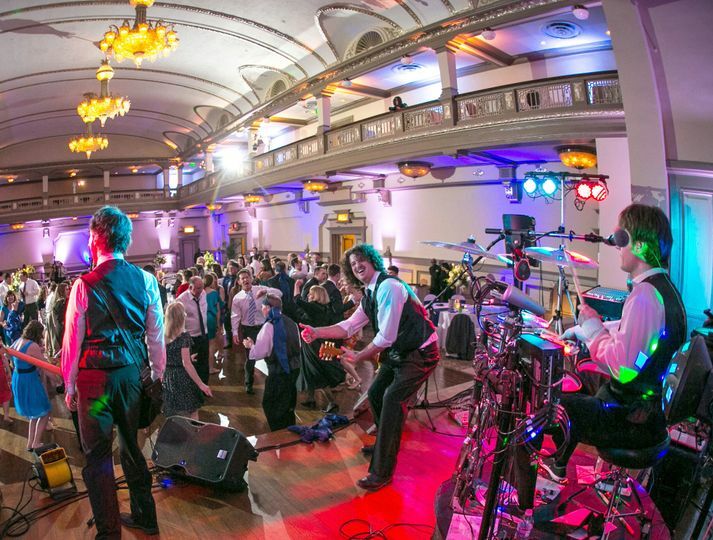 Amazing, fun, professional, dance until your feet hurt good music. We can’t say enough good about this group. Do yourself a favor and book them now!! 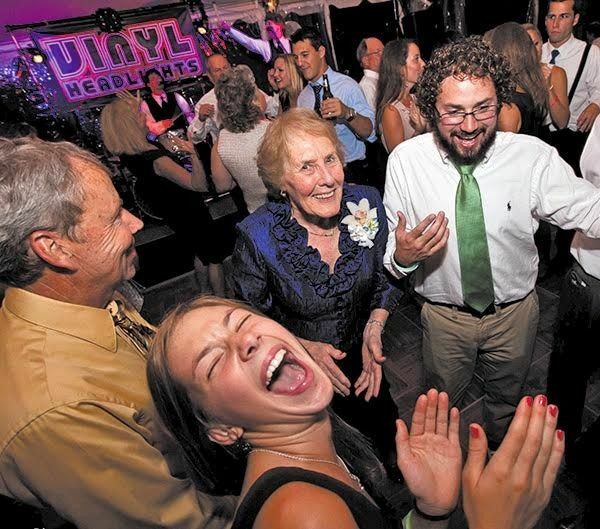 Vinyl Headlights really made our wedding reception. 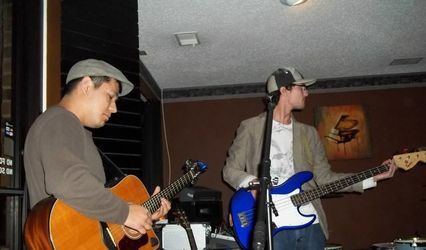 They did an excellent job of reading the crowd and keeping our guests entertained. 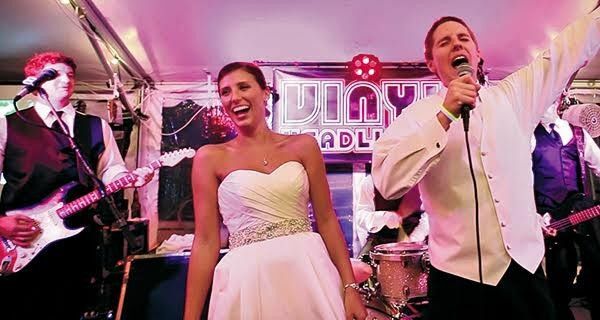 I had multiple people come up to me and tell me that they were the best band they had ever seen perform at a wedding. More importantly, they were helpful and responsive during the planning process and were flexible in regards to our song requests. 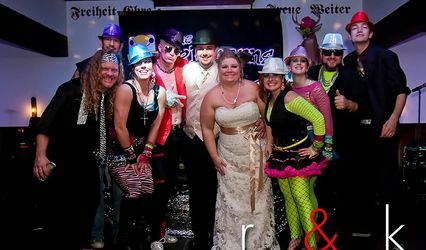 I highly recommend them if you are looking for a great band for your special day.